We’ve had many cases over the years in which parents have brought in a child with ADHD, only to discover that many of their symptoms could be attributed to a functional vision problem. Functional vision involves your ability to see an object in space. It’s more than just seeing 20/20 on a vision chart. It’s how your eyes, brain and visual pathways work together to perceive objects in space, process visual information, and other skills. When your functional vision skills aren’t working correctly, the resulting symptoms can closely resemble many of the issues that challenge a child (or adult) with ADHD. 1. Fails to pay close attention and makes careless mistakes. When we see a child with these attributes, our mind automatically thinks “ADHD.” So why would a vision problem cause the same behavior? Think about it this way. If your eyes aren’t working together and you can’t track a line of text, you will stop reading. If you don’t stop, your visual system may fatigue. You find it harder to pay attention, and those careless mistakes pile up. The child in this case has a significant disadvantage compared to his or her classmates. If everyone in the classroom had the same type of functional vision problem, this type of behavior would be commonplace. 2. Often does not listen when spoken to directly. Processing plays a big role in functional vision. When you have a functional vision problem, it’s a challenge to keep track of a wide range of stimuli. 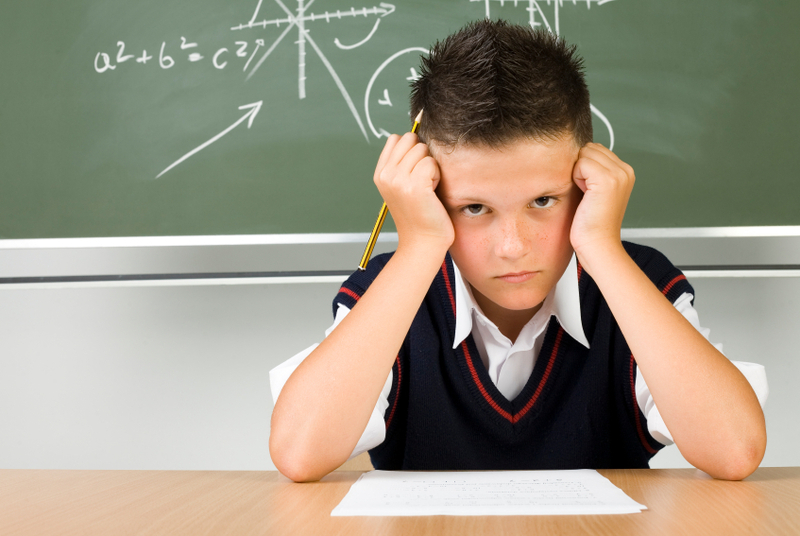 If a child is trying to focus on the words on the board, he or she might have to work twice as hard as everyone else. As a result, they might not be able to process what a teacher is saying because they’re concentrating so hard on just seeing what is on the board. 3. Often has difficulty sustaining attention during tasks or play activities. Functional vision problems extend beyond the classroom. If a child is playing sports, for example, their functional vision can affect their ability to see a ball flying through the air, or judge their physical relation to others on a playing field. Once again, it can be very fatiguing to sustain attention when your visual system is not working efficiently. To illustrate what we mean, hold your hand open for fifteen seconds. Easy, right? Now make a fist as tight as you can, and clench it for fifteen seconds. Do you feel that fatigue? This is an example of the exhaustion that can occur when your visual system is overtaxed. Is it One Issue or the Other? If your child is exhibiting the symptoms we’ve illustrated, does that mean they have one issue or the other? It all depends on the individual. The issues could be a functional vision problem, with some degree of ADHD. It could be ADHD, with a small functional vision problem. Or, it could be entirely a functional vision problem, or entirely a case of ADHD. We don’t know until we run a functional vision test on the child. What we do recommend is assessing a child’s functional vision first. Through testing, we can determine a child’s functional vision abilities. Once we quantify their visual skills, it is easier to determine whether or not their symptoms are visual in nature.